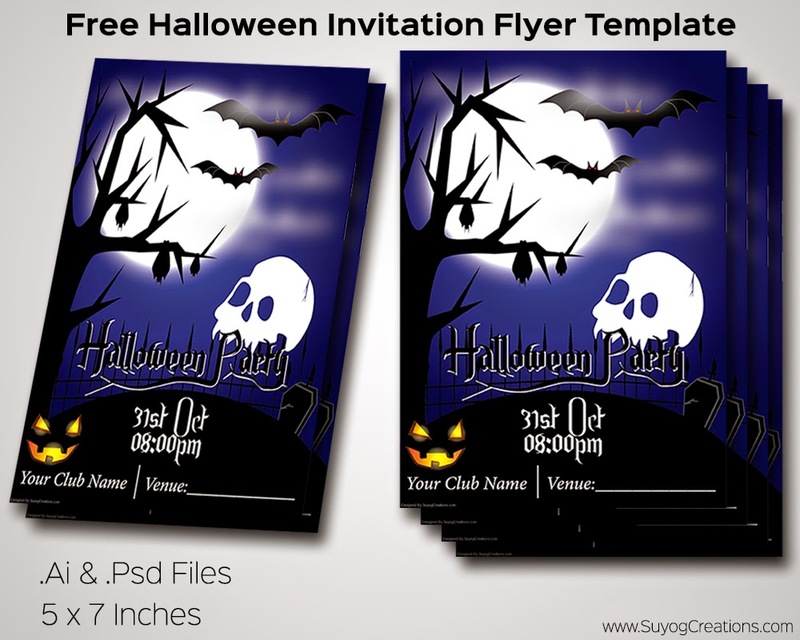 This Halloween time invite your family and friends with this amazing Halloween Invitation flyer, Both the files[.Ai and ..Psd] are complete editable and are of size 5 x 7 Inches. Just you need to Enter your Name and Venue that's it. before you open the file you need to Install two fonts.